for ways to help cool the air without running up our power bill. A good fan is one of the best ways to circulate the air and keep the cost down. 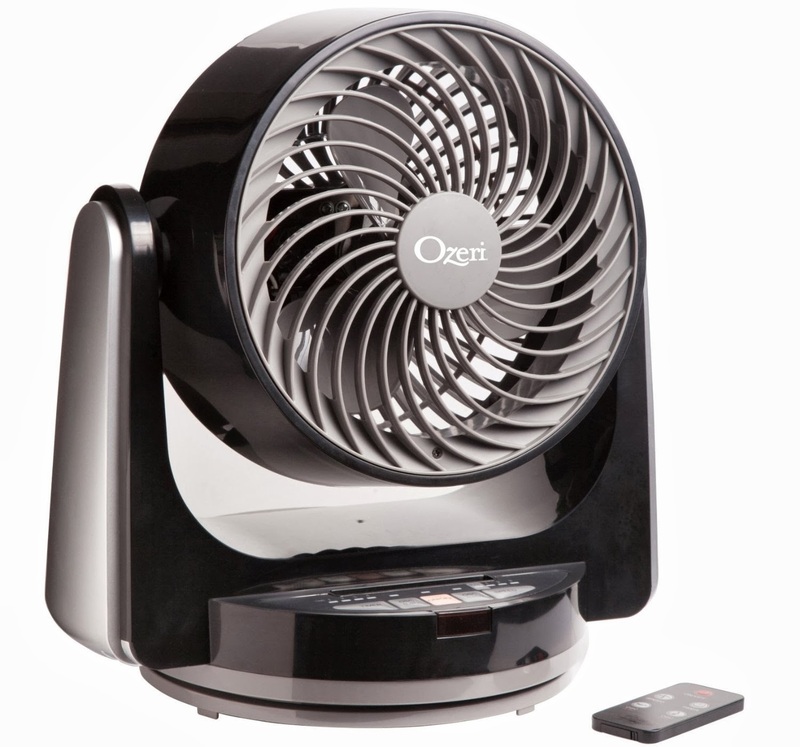 We have found a small fan that packs the power in the Ozeri Brezza III Dual Oscillating 10" High Velocity Desk and Table Fan. 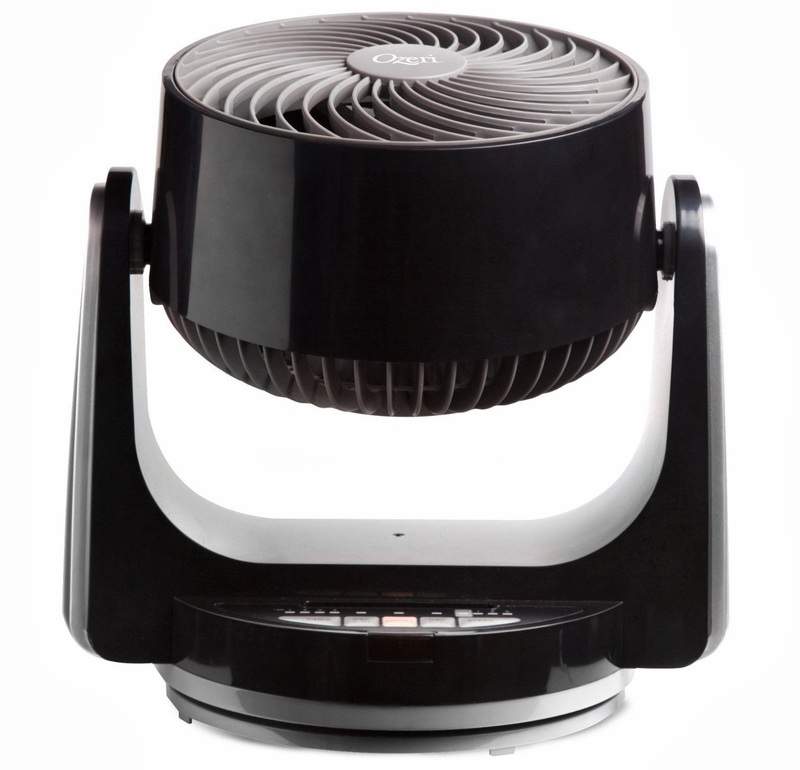 Ozeri Brezza III Dual Oscillating 10" High Velocity Desk and Table Fan is powered by new ultra-quiet, 4-speed, dual oscillating motors with automatic vertical and horizontal motion for maximum cooling effectiveness. It's no joke-not only does it oscillate from side to side but also up and down for all around cooling. I love the fact that I can set the timer and it only runs for the time programmed and not all day or night. 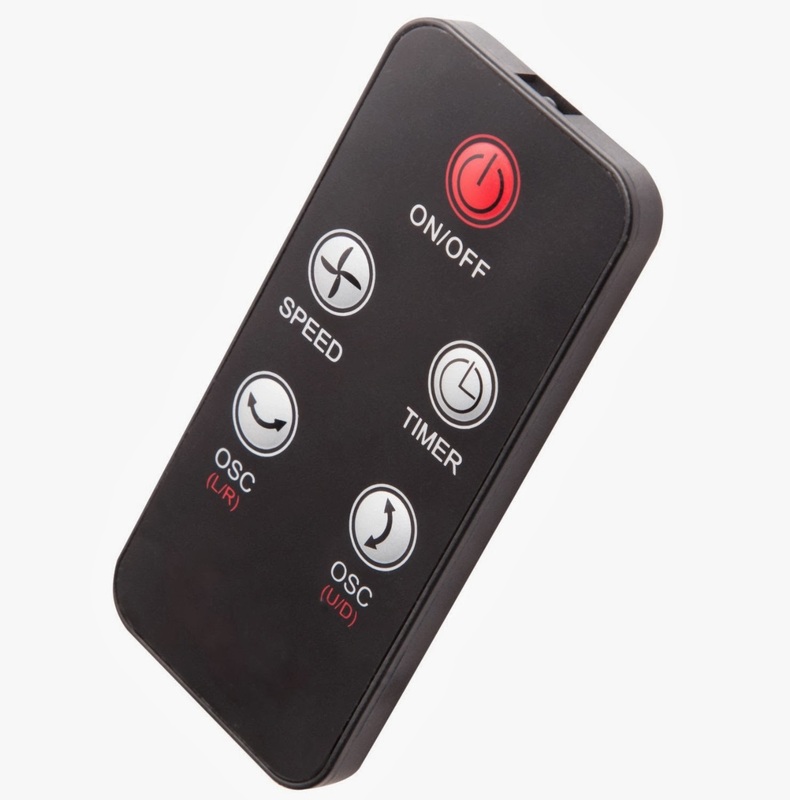 The extended-range remote control and fan controls easily engage automatic dual oscillation (up/down & left/right), horizontal oscillation (left/right), the 4-hour timer and all air speed settings. Yep, you don't even have to get to bed or off the coach to control the fan. The controls on the fan are push button so no worries about your kids pulling the knobs off- you just have to keep the remote control from them. This fan has a sleek, cool design that can fit into any room design with ease. This is a well designed work horse of a fan that can stand up to everyday wear and tear of a 6, 9 and a 10 year old and their dad. We are a "fan" of this fan and think you would be too! and a new record for the lowest noise output in its class. The Ozeri Brezza III's dual oscillating motors deliver airflow from left to right and up and down, liberating you from having to move or turn the fan to change the airflow direction. With the new extended-range remote control or via the push of button on the fan's control panel, the Brezza III 10" Desk Fan provides automatic dual motion oscillation for the ultimate in air circulation that ensures the widest distribution of cooling airflow and hot spot elimination. The Brezza III can also be used in non-oscillating mode for uniform airflow. The 4 speeds allow you to choose between a cool breeze, refreshing wind, a more powerful stream of air, and Turbo mode for maximum cooling. The 4-hour programmable timer allows you set the fan to automatically turn off after you fall asleep. The Brezza III 10" Desk Fan by Ozeri is one of the most effective fans at overcoming summer heat or simply refreshing a stale room. The Ozeri Brezza III 10" Desk Fan ships fully assembled with a convenient carrying handle, and weighs 6 lbs for easy transporting. Welcome to the world of a stay at home mother of 3. My name is Jill and I am the owner of Wrapped Up N U. We are located in a VERY small town in Georgia. Wrapped Up N U is a southern lifestyle blog that has a little of everything. From family, food, pets, travel and everything under the sun. Emmy®-nominated "LEGO STAR WARS: THE FREEMAKER ADVENTURES" SEASON TWO on DVD MARCH 13!